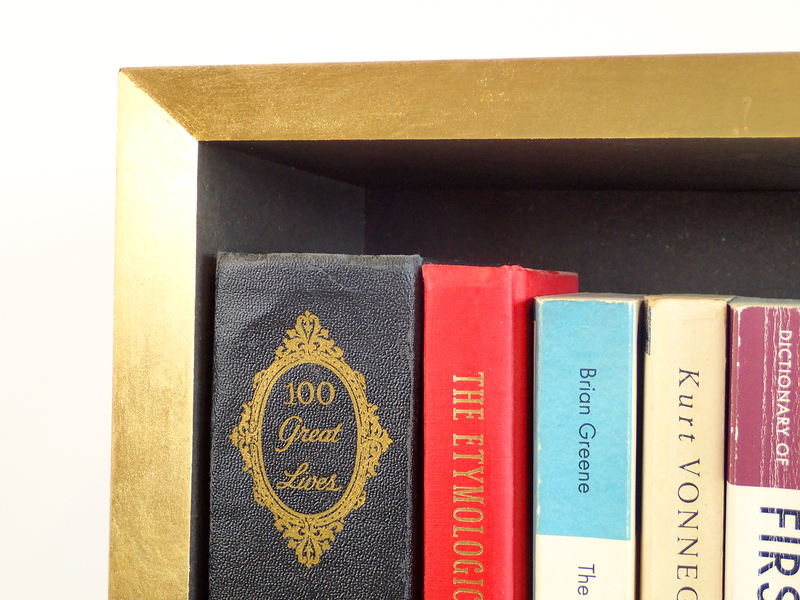 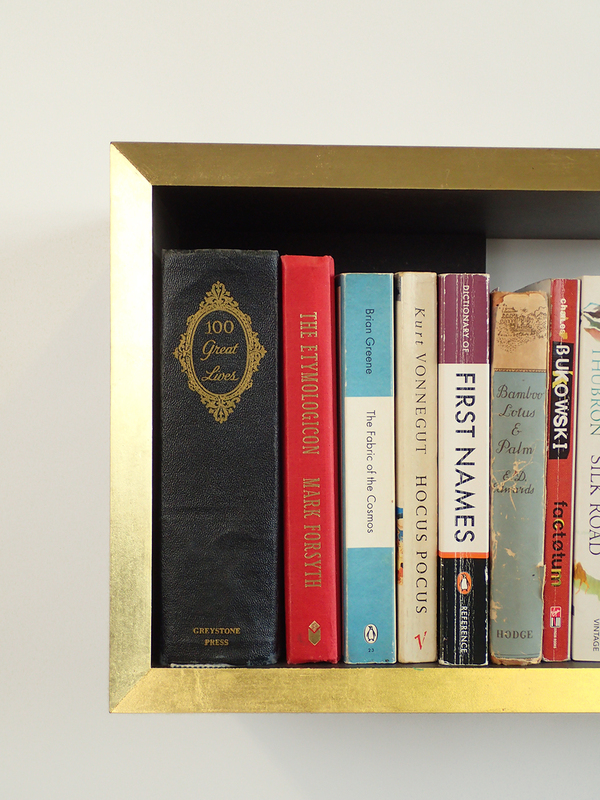 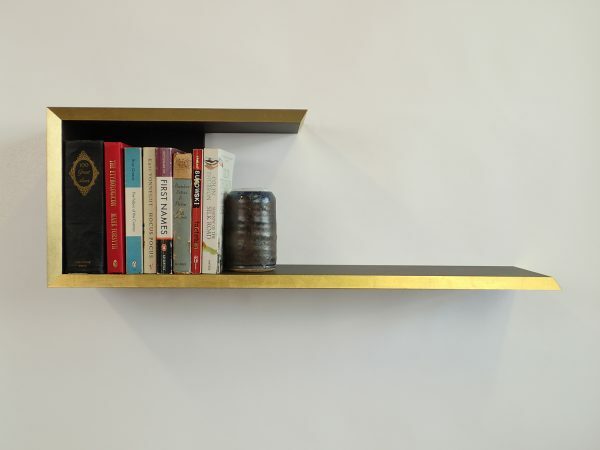 This sleek, modern bookshelf is made from 19mm grey Valchromat and has gilded edges of gold leaf. 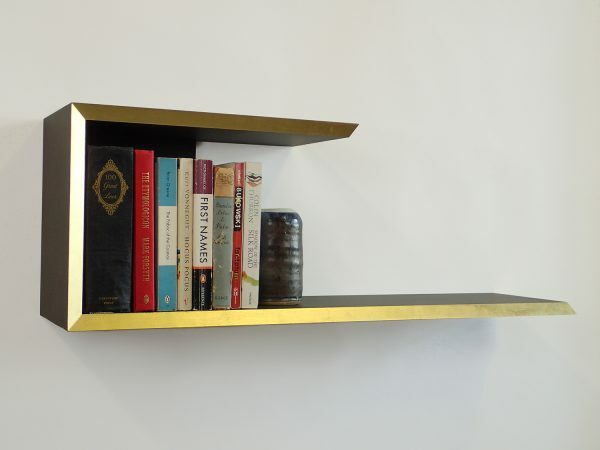 Its simple form lends it versatility, and can house books or objects in many variations. The dark, slate-like material of Valchromat works wonderfully with the gold leaf which has been hand gilded. 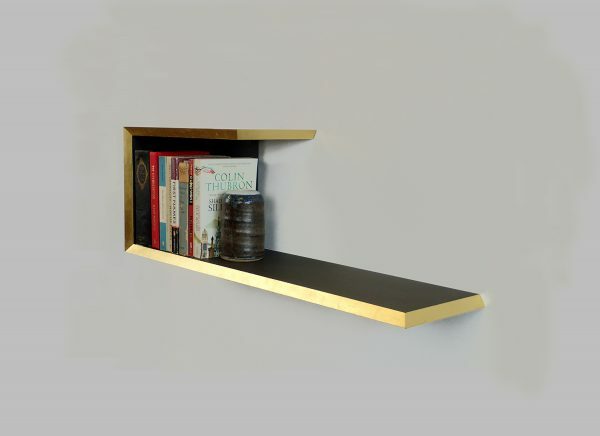 It is supported by brass mirror hanging plates to the rear and is supplied with screws and wall plugs ready to be fitted in your home. 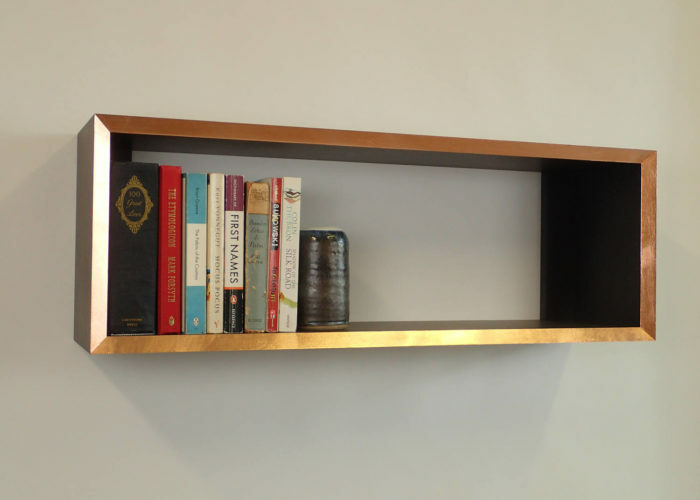 NB: whilst the metal edge has been lacquered, care needs to be taken, as the copper can scratch. 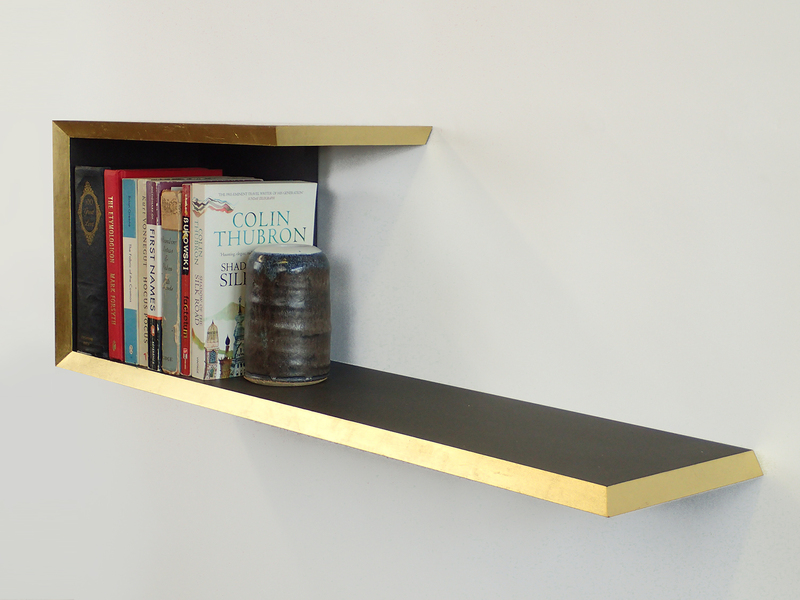 This piece can be made to bespoke sizes easily – please enquire!